The EOS-1D C is an amazing camera. 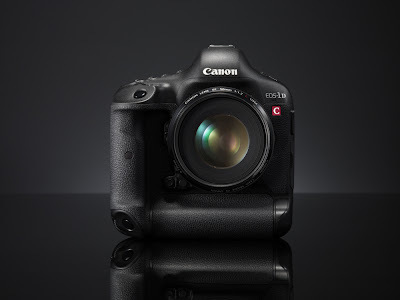 It is essentially the EOS-1D X body with 4K Cinematic quality video capability. As my readers know, I have picked the EOS-1D X camera as the best DSLR on the market today. You can read my review here and visit my website to see wildlife and travel photos taken with the EOS-1D X from around the world. I am not a photographer who shoots video but if I were, the EOS-1D C will be my next body. I have found an interesting short film by Philip Bloom on the camera. The EOS-1D C's features will get even better come April when Canon will release a new Firmware. You can read my earlier post on this topic here. An evolution in DSLR movie shooting, offering the creative possibilities of the EOS-5D Mk III with improved features, quality and lens options. Full-frame 35mm image sensor provides extremely shallow depth-of-field and superb sensitivity. Small form factor allows use in restricted environments without compromising on quality. Record video at 4K, digital cinema resolution (at 24fps) or Full HD at higher frame rates (1080/60p). Clean HDMI output (Full HD, 4:2:2 color sampling). Capture Full HD video and high-resolution stills from one device.